Last summer, I desperately wanted to buy myself an ice cream maker. Not one of the ones that requires pre-freezing a bowl (who has room in their freezer for that? ), but one that you can just plug in and leave to let the magic happen. 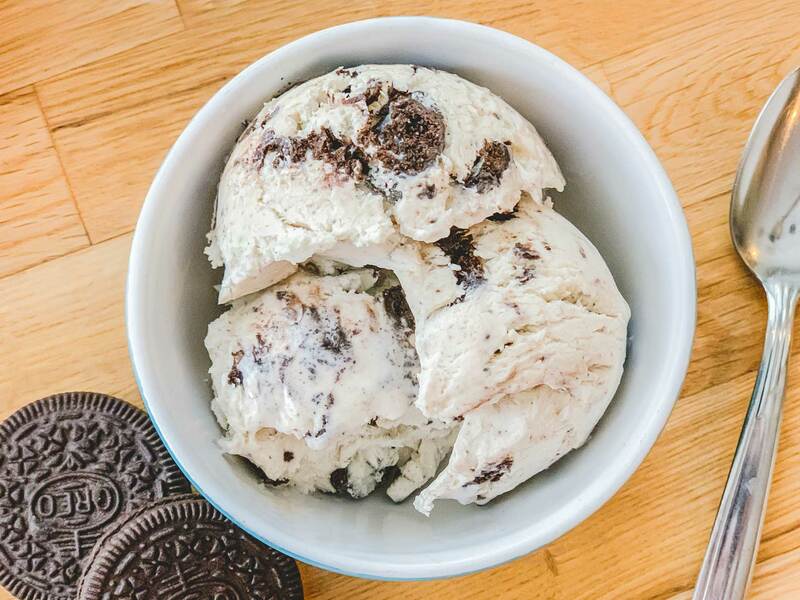 Well, summer came and went, and I forgot all about my ice cream desires until this week, when my co-worker sent me a link to the Pioneer Woman’s No-Churn Ice Cream. This same co-worker (who is amazing, by the way – she’s the one that let me harvest all those cherries from here tree to make these mini sour cherry pies.) had also wanted an ice cream maker. 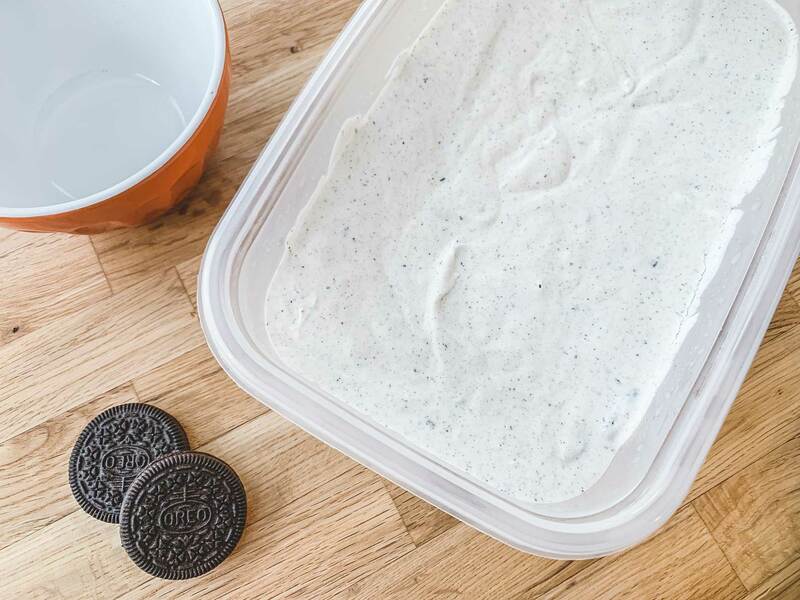 She finally broke down and ordered one online, but was too excited to wait for it to arrive, which is when she tried this no-churn ice cream recipe. She had nothing but good things to say about this ice cream. She even joked that it was so good that she no longer needed an ice cream maker! Although, we both know that’s not true. She still needs one. Mainly so I can borrow it and finally decide if I’m going to get one too! This recipe could not be any easier to make. It takes five minutes to mix together and then you just throw it in the freezer. Add 14oz of sweetened condensed milk to a large bowl. The brand that I buy is actually just a little over 13oz (300ml). I wasn’t about to open a second can for the little bit extra so I used a little less than the recipe called for. 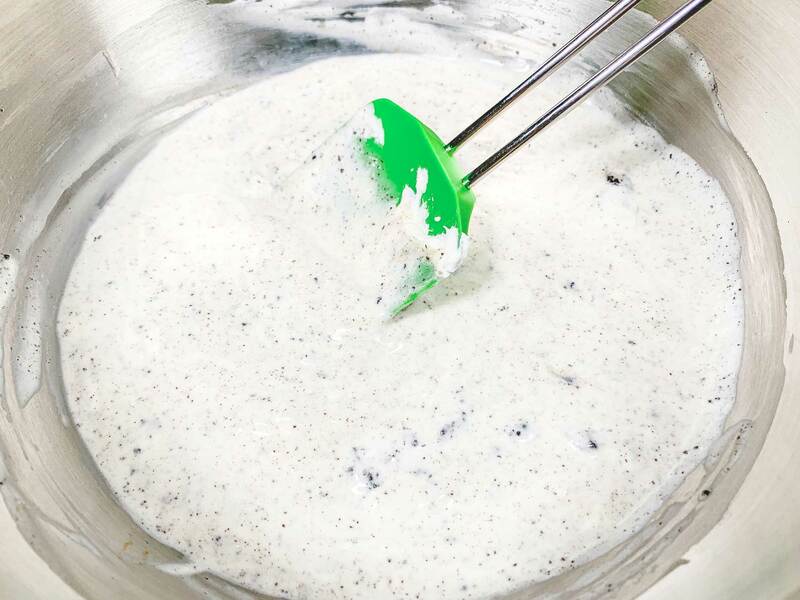 Stir in some crushed Oreo cookies. You can chop or crush them as fine or as chunky as you like. Next whip two cups of heavy cream on high speed until it forms stiff peaks. 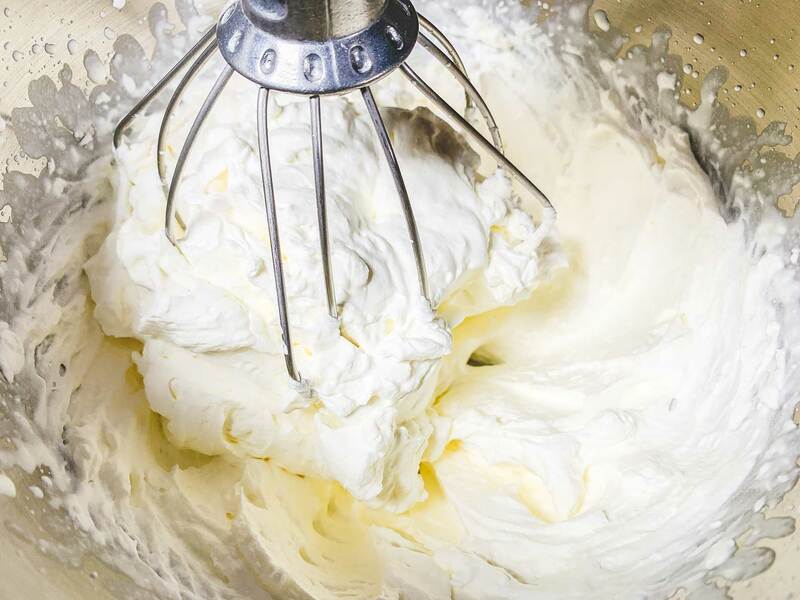 Fold in half the whipped cream to the condensed milk and cookie mixture. 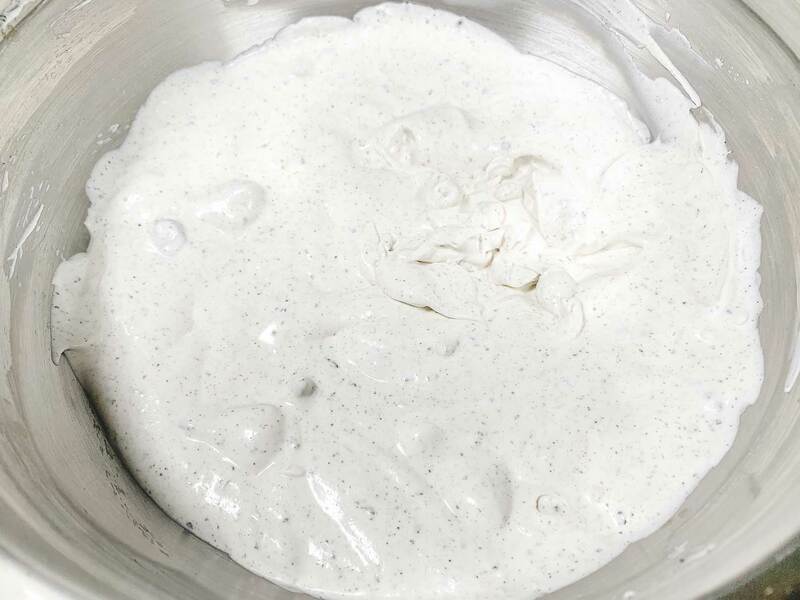 Now fold in the second half of the whipped cream. 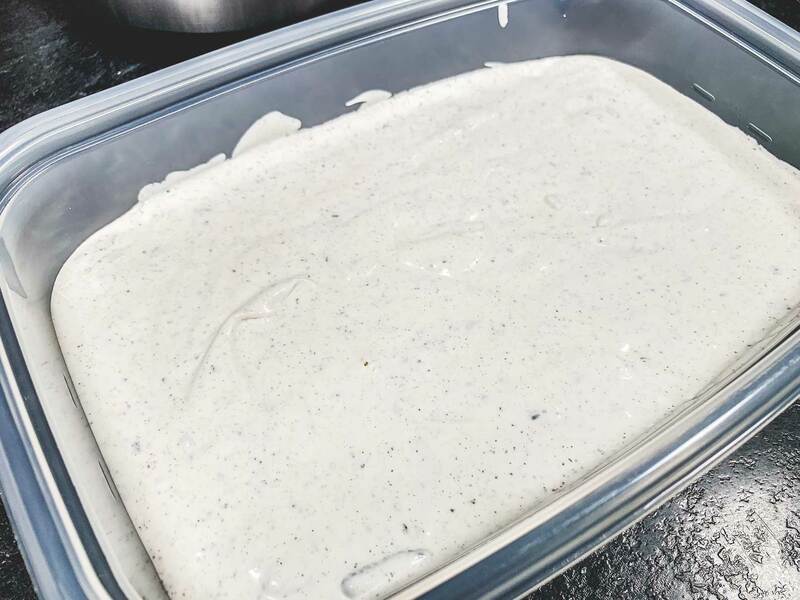 Transfer the mixture to a freezer safe container. Freeze until firm (about 4-5 hours). 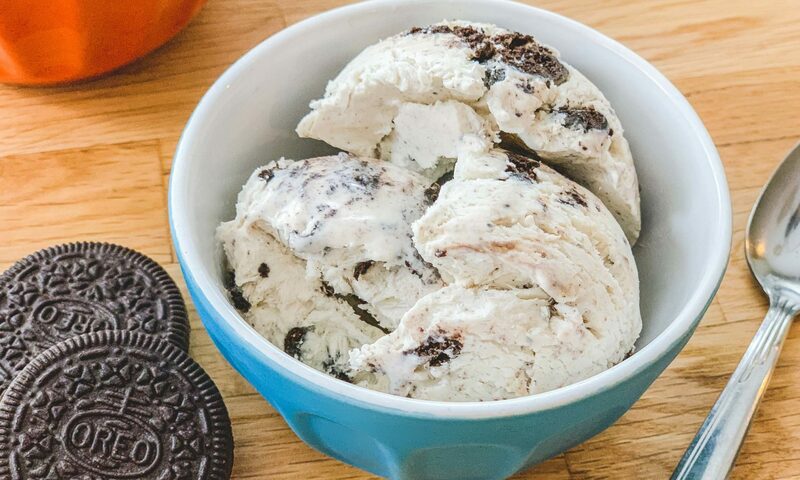 This ice cream is smooth and creamy, although the combination of the condensed milk and Oreos combined is quite sweet. 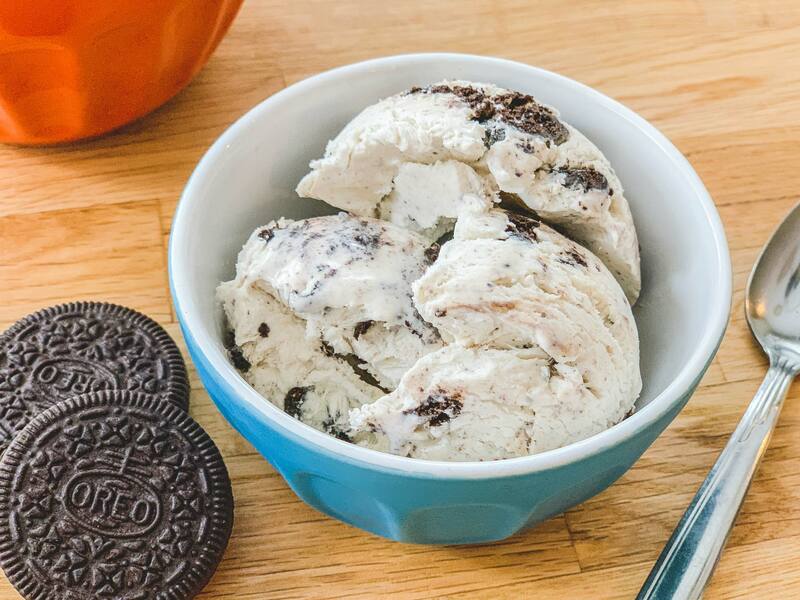 I still enjoyed it, and I think generally if you like cookies and cream ice cream, you would like this. 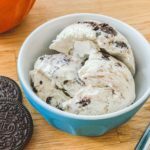 If (I mean…when…) I get an ice cream maker, I will have to make a similar ice cream to see how it compares to this no-churn variety. In the meantime, I will happily add this recipe to my list of go-to frozen desserts. I also plan to experiment with a few different flavour combinations as summer approaches! 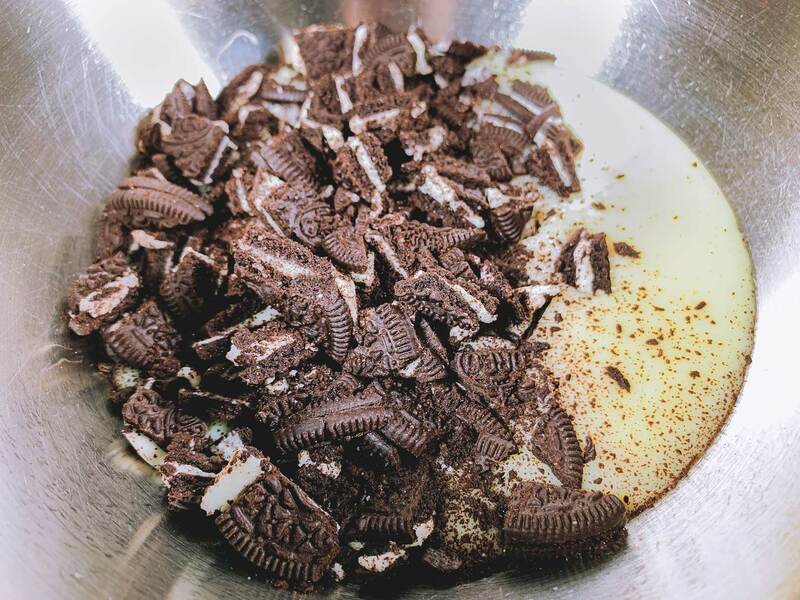 In a large bowl, mix together the sweetened condensed milk, vanilla extract and crushed Oreos. Fold half the whipped cream into the sweetened condensed milk mixture, then fold in the other half. Transfer the mixture to a freezer safe container (you'll need something that can hold about 6 cups). Freeze until firm (4-5 hours). 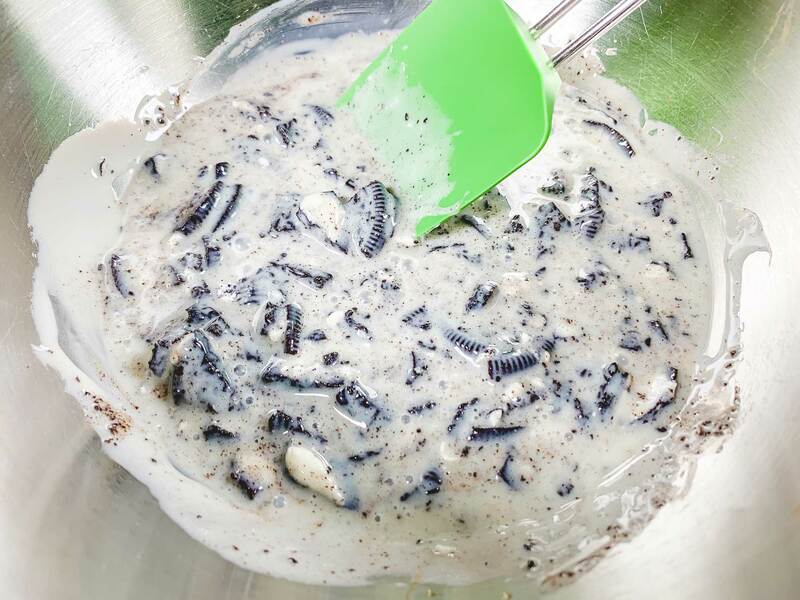 You can fancy up your ice cream a bit by sprinkling a few extra crushed Oreos on top of the ice cream before putting it in the freezer.